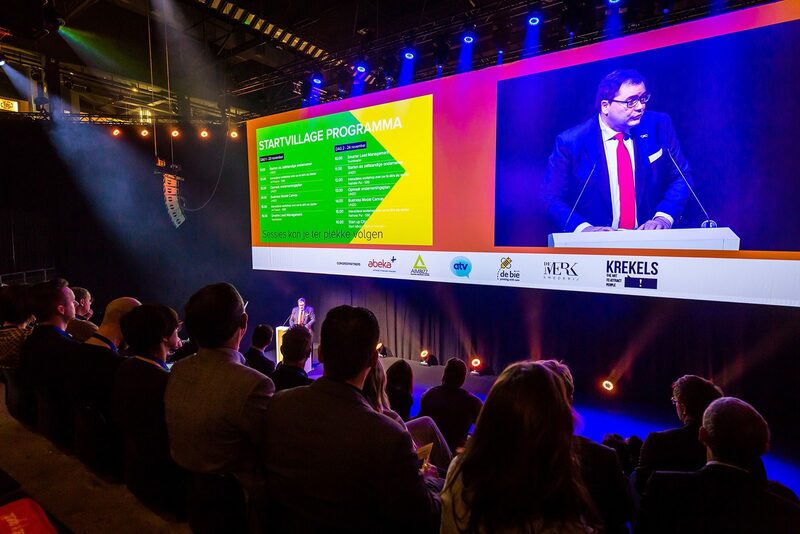 A two-day networking congress in the Lotto Arena in Antwerp. This event makes the perfect combination of interesting keynote speakers and an exhibition with about 100 interesting companies. 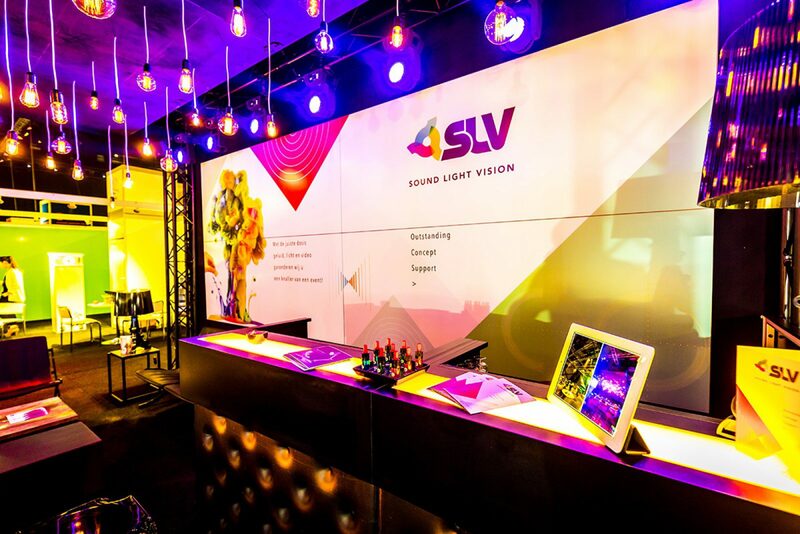 With an extensive video direction and a 16 m width wide screen projection, SLV Rent made the congress part work. 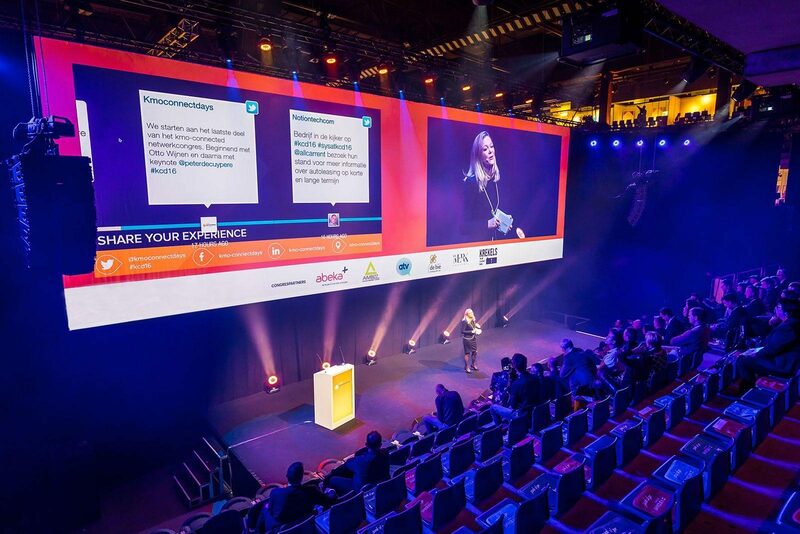 Thanks to our L-Acoustics KARA system, the audibility of the speakers was perfect. Finally! 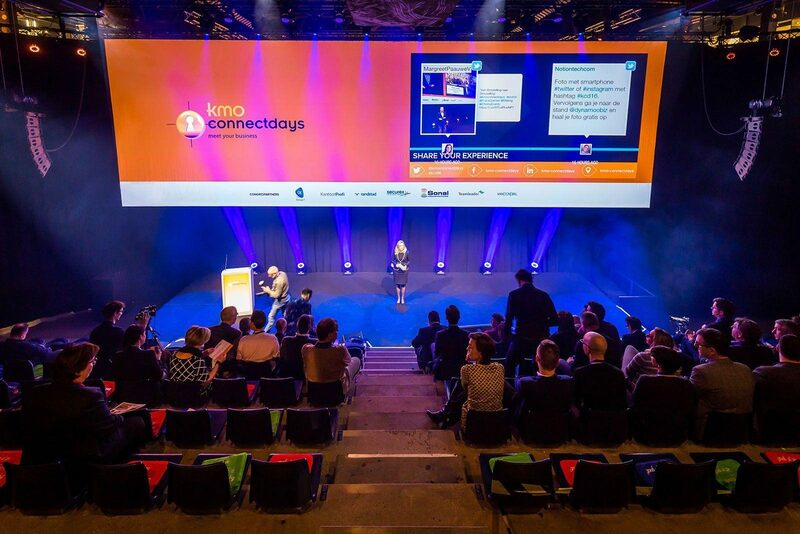 We have found a company that can give the keynote speakers a ‘presenter view’ with two slides on the screen monitor! Thank you SLV Rent for the perfect service during the KMO Connectdays. 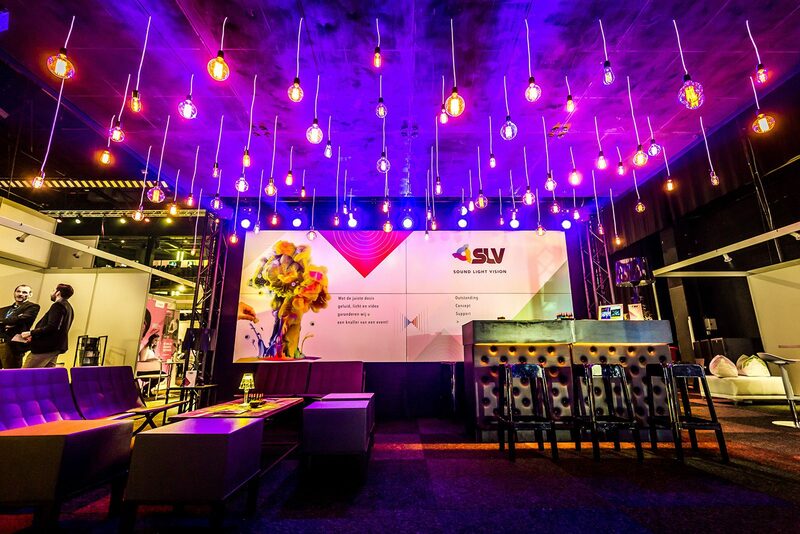 Ready for an unbelievable concept support on your next event? Call +32 (0)9 385 33 95 and get the customised personal approach you deserve!